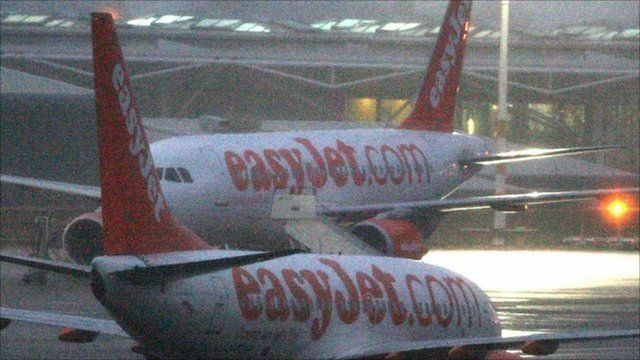 Passengers on a flight to Italy from Gatwick Airport were stuck on an Easyjet plane for seven hours, unable to take off. The delay was caused when a heavy snow shower at Gatwick forced the runway to close while Pisa airport was also closed due to icy weather conditions. Caspar Mahoney was on the flight to Pisa and said that crew seemed to have little idea about what was going on. In a statement, Easyjet said the circumstances were "outside the airline's control" and apologised to passengers saying it was "doing everything possible to minimise the disruption".